BEST WESTERN Delmere Hotel is to be found in the middle of Central London, situated on a green avenue in Paddington, just minutes away from the Tube and train station. It is located close to Hyde Park and Oxford Street. That is great news for anyone seeking traditional standards of comfort and friendliness in this wonderful capital city. Paddington Train Station and Heathrow Express are just a few minutes away, providing a very quick 15 minutes transfer from Heathrow. Paddington Tube Station (Circle, Bakerloo, District, Hammersmith and City Line) is just 400 meters away and Lancaster Gate tube (Central Line) is at a 600 meters distance. This provides the perfect central base for you to explore many of London’s most popular attractions. The hotel has held the silver accolade of the English Tourist Board from 2002 onwards. 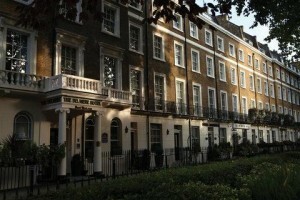 It also has the highest score of any AA inspected two star property in London (71%) for the last two years. Nearby, you can find some of the most appreciated touristic locations, like London Eye, Big Ben, The Houses of Parliament, The Olympic Park, Portobello Market, Camden Market and Westfield Shopping Centre. Other London attractions, such as Madam Tussauds, Oxford Street, Hyde Park, Marble Arch, and Harrods are all within walking distance from the hotel. In order to get rail transport from London Stansted Airport to Best Western Delmere Hotel you need to take the train from the Airport to Liverpool Street Underground. It comes every 15 minutes and the total journey takes about 45 minutes. 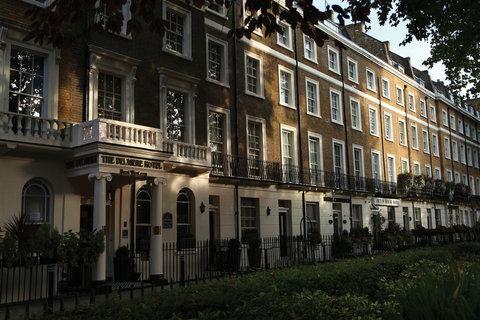 From there, you have to take the Tube from Liverpool Street Underground Station to Lancaster Gate Underground Station and then simply walk to the hotel. If you want to travel by car from London Stansted Airport to Best Western Delmere Hotel, the journey will take around 1 hour, without including traffic. In order to get there from Stansted Airport, you have to take the M11 motorway, the A406 Road and finally the A12 Route. 247 Stansted Airport Transfer can always provide you with a minicab from London Stansted Airport to Best Western Delmere Hotel. The price for a Saloon car is £59 and the journey can take up to one hour and 30 minutes, if we include any traffic delays that may occur in rush hour time.